Getting Things Done, or GTD, is a system for getting organized and staying productive. It may seem complicated on the outside, but the end goal is to spend less time doing the things you have to do so you have more time for the things you want to do. Let’s break it down and see how you can apply a simplified version to your life. 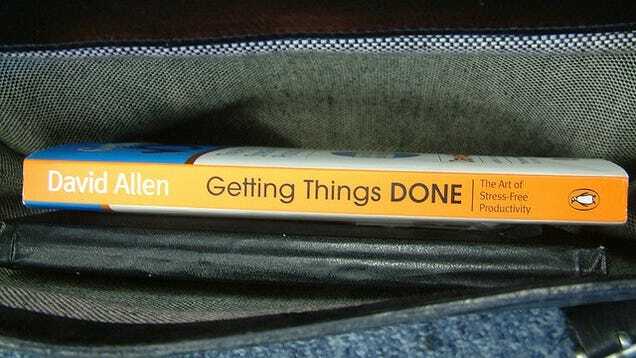 Getting Things Done (GTD) is actually two things: A productivity method, and a best-selling book by author and productivity consultant David Allen. 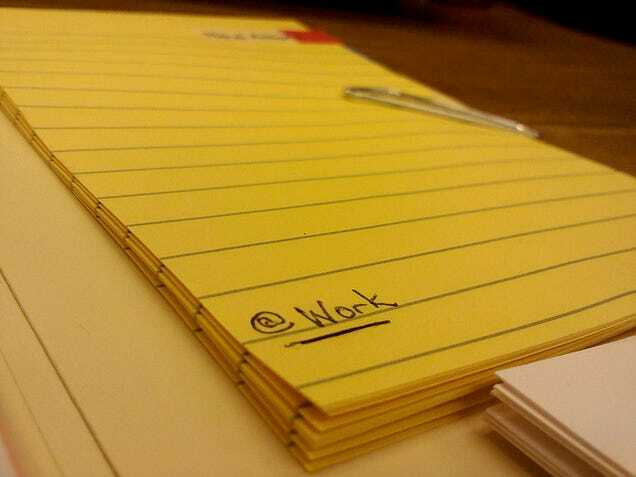 It’s been around for a long time, and it’s a staple of productivity enthusiasts everywhere—including here at Lifehacker. Still, we’ve never done a deep dive on what it is and how you can make it work for you. And, since we’ve recently been diving into some of the life hacking basics for new readers in our 101 series, we thought it was worth revisiting. Put simply, GTD is a method for organizing your to-dos, priorities, and your schedule in a way that makes them all manageable. One of GTD’s biggest benefits is that it makes it easy to see what you have on your plate and choose what to work on next. It also has a strong emphasis on getting your to-dos out of your head and into a system you can refer to. This clears your mind of any mental distractions that will keep you from working efficiently. That all sounds great, but GTD also has a reputation for being complicated. It doesn’t have to be, but part of the reason why it’s earned that reputation is because there’s no one, rigid, “right way” to practice it. There are lines to stay inside of, but there’s no “do this, then do that, and put these into that category” kind of rulebook. There’s no preferred app to use or journal to buy to make it work. Part of that vaguery makes it easy to remix and personalize it to match your needs, but it also makes it difficult to approach. In this post, we’ll walk you through the basic tenets of GTD from a beginner’s perspective, and offer some tips to help you apply a simplified, more accessible form to your hectic schedule and overflowing to-do list. Capture everything. Your to-dos, your ideas, your recurring tasks, everything. Put it in a pen-and-paper notebook, a to-do app, a planner, whatever you prefer to use to get organized. GTD doesn’t say to use a specific tool, but whatever you use has to fit into your normal flow. The barrier to using it should be so low that there’s never a reason for you to say “I’ll add it to my list later.” You want to capture everything as soon as it happens so you don’t have to think about it again until it’s time to do it. Clarify the things you have to do. Don’t just write down “Plan vacation,” break it down into actionable steps so there’s no barrier to just doing the task. If there’s anything you can do right away and have time to do, get it done. If there’s anything you can delegate, delegate it. Here’s a helpful video where David Allen explains how to clarify your to-dos so they don’t require more time to figure out what you meant than it takes to actually do the thing you wanted to do. Organize those actionable items by category and priority. Assign due dates where you can, and set reminders so you follow up on them. Pay special attention to each item’s priority, as well. You’re not actually doing any of the items on your list right now, you’re just making sure they’re in the right buckets for later, and your reminders are set. In short, this is quality time with your to-do list, inbox, and calendar. Reflect on your to-do list. First, look over your to-dos to see what your next action should be. This is where the clarifying step pays off, because you should be able to pick something you have the time and the energy to do right away. If you see something that’s so vague that you know you won’t be able to just pick up and run with it, break it down. Second, give your to-do list an in-depth review periodically to see where you’re making progress, where you need to adjust your priorities, and determine how the system is working for you. Engage and get to work. Choose your next action and get to it. Your system is, as this point, set up to make figuring that out easy. Your to-dos are organized by priority and placed in categories. You know what to work on, and when. They’re broken into manageable, bite-sized chunks that are easy to start. It’s time to get to work. Those are the basic principles of GTD. At its core, GTD gives you a way to get everything you need to remember out of your head and into a system that can remember them for you, organize them, and break them down into pieces you can work with. That way the next time you look at your to-do list, there should be no confusion over what you have time to tackle, or what’s most important. You can spend less time thinking about what to do and how to work and more time actually working. Now that you understand the basic premise of GTD, getting started is simple. In fact, it’s likely that many of the pillars of GTD are already part of your workflow. Maybe you have a to-do app already, or a regular meeting with your boss to discuss priorities. It may seem daunting—or like you’ll spend more time getting organized with something like GTD than you’ll actually spend doing your work—but it doesn’t have to be that way. Here’s how to get started. First, you need some tool to capture and organize all of your ideas, to-dos, responsibilities—everything you need to remember. You likely already have a favorite to-do list app, journal, and planner that you use to stay organized. If you don’t, look for one that works with your flow. When the boss surprises you with a new task while you’re working on something else, you want a tool that lets you get that task out of your head and into your system as quickly as possible. That way you don’t have to stress over it, or try to remember it later. 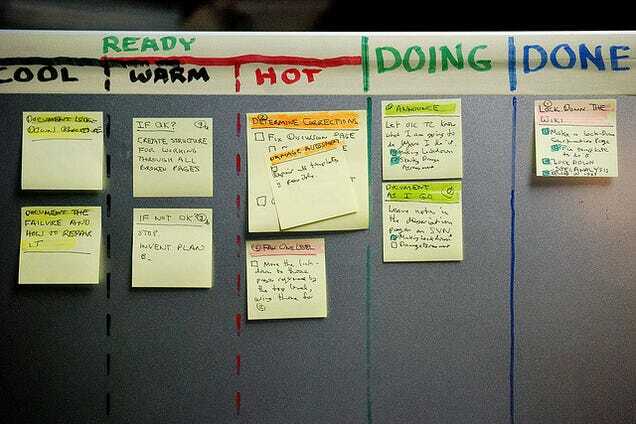 If your current to-do app doesn’t give you that freedom, find one that does, even if it’s post-it notes or a whiteboard. 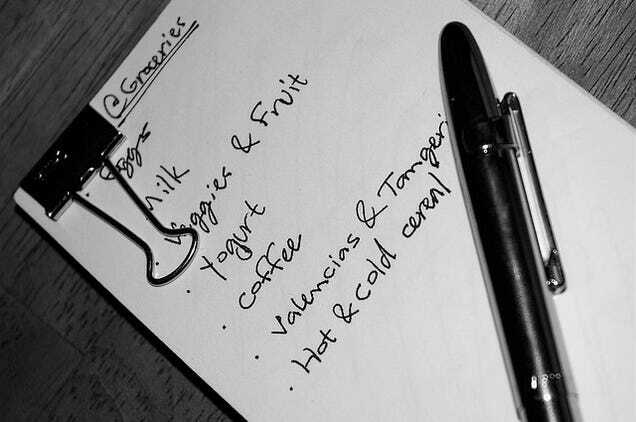 How you organize those to-dos is up to you, but remember, don’t over-hack your method. It’s the small things that make it, and if your to-do list is starting to get bloated with categories, varying priorities, and all sorts of labels and flags and functions, it’s time to go back to square one and simplify. Personally, every morning I spend about five minutes making sure everything on my to-do list reflects everything I need to do that day, and anything that’s big or vague has enough clarity that I can run with it. Then, once a week, I give myself about a half-hour to an hour for a weekly review, where I do a deeper dive, make sure I follow-up on anything I’ve been meaning to but neglected, add any lingering ideas to my to-do list, delegate what I can, do a little brainstorming, and shift priorities around if I need to. You might think that David Allen himself uses some expensive planner, or a plethora of to-do apps to do what he does. He doesn’t. Actually, he really just uses paper. In fact, his workspace always has notepads nearby, so he can jot down ideas and to-dos quickly and get them out of his head. If you like the paper approach too, the previously mentioned Bullet Journal system is very GTD-friendly, in that it encourages you to spend time reviewing and prioritiing your to-dos, and it makes it easy to add new to-dos to your list. It adds more structure than GTD requires, but that may work for you. If you prefer the app-centric approach, you have plenty of options. Evernote is a popular choice, and we’ve mentioned how to make it GTD-friendly in the past, along with some templates to get you started. I you prefer Springpad, it’s easily massaged into a GTD-friendly organizer as well.Microsoft OneNote is equally powerful and equally GTD-friendly. All three are great for GTD, even if they’re a bit heavy and feature-rich. You don’t have to use multipurpose apps like Evernote or OneNote for GTD if you don’t want to. Even simple to-do apps, like GQueues, Doit.im, and even Apple’s own Reminders app that fit the mold well. In fact, any to-do app or note-taking tool that also lets you organize, prioritize, and review the things you have to do will work nicely. That said, some make it easier than others, and some are designed with GTD in mind. Keep an eye out for that if you’re looking. GTD has a lot going for it, but let’s not forget: it’s just one philosophy. It isn’t for everyone, and it may not be the best productivity system for you. 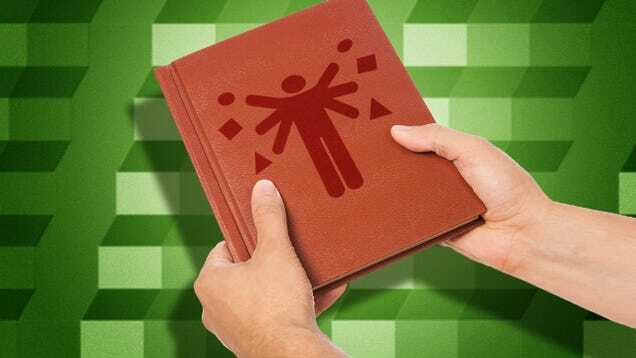 There are lots of productivity systems and methods out there, and while some people worship GTD like the Bible, it’s just one very popular system of many. The best way to use it is to massage it into a system that works best for yourneeds, not to strictly adhere to all its rules. It’s dying to be remixed and adapted. For example, if your to-dos come in the form of emails, your inbox should be part of your system. Keeping your inbox clean—or at least organized—is part of the “capture” and “organize” steps above. This Gmail workflow helped our own Melanie Pinola get her inbox under control, and I still swear by Gina Trapani’s “Trusted Trio” of mail folders, not because it makes my inbox look clean, but because it combines capturing and clarifying in one. If you’re a student, this college-friendly workflow may appeal to you because it deals in both time-sensitive (assignments, papers, exams) and context-specitic (studying, organizing notes, research) items. Whatever you do, make sure it works for you and that it’s easy. Don’t get caught up inproductivity for productivity’s sake. How to get the winning mentality the Goldman Sachs way. Mind Mapping for Memory: Why is it useful? © 2013 Right Selection Group. All Rights Reserved.